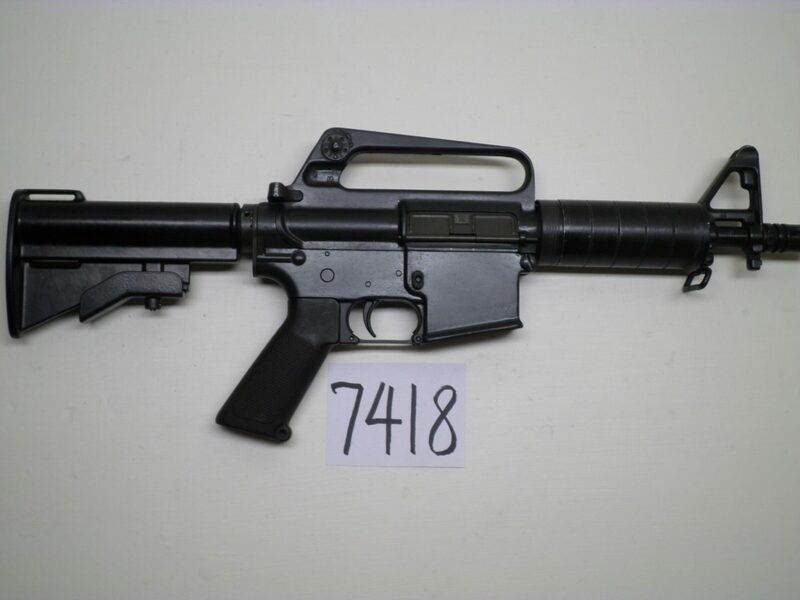 Unusual Colt M16A1 Carbine in Excellent Condition. Looks all original. Experimental upper with 7.5' barrel and aluminum fore grip. 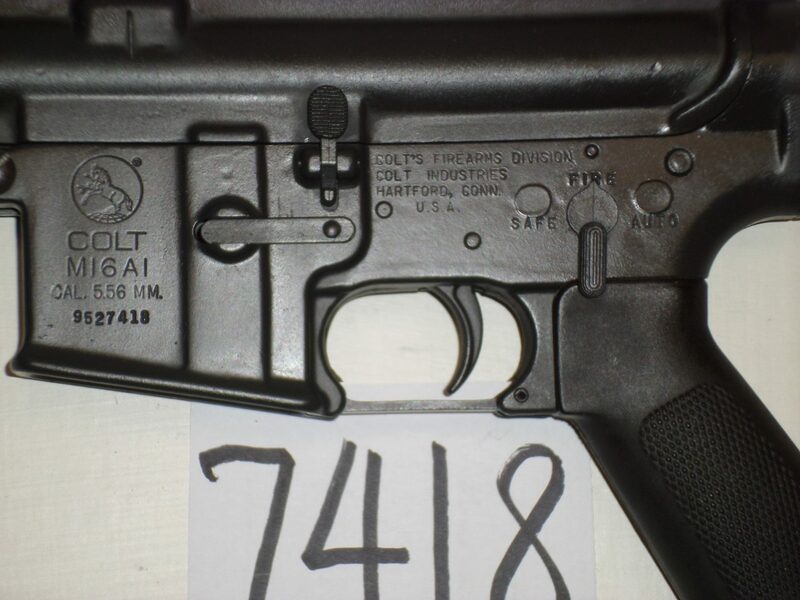 The upper has the proper Colt markings. 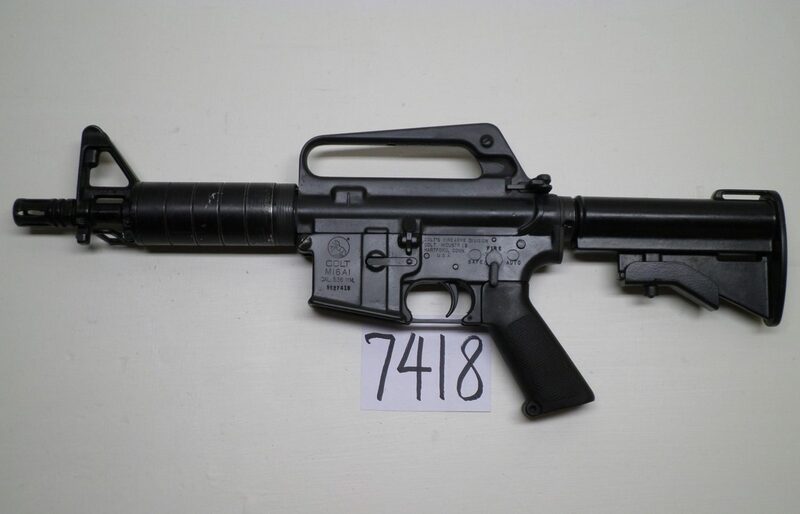 The lower is marked M16A1 but has no magazine release fence. 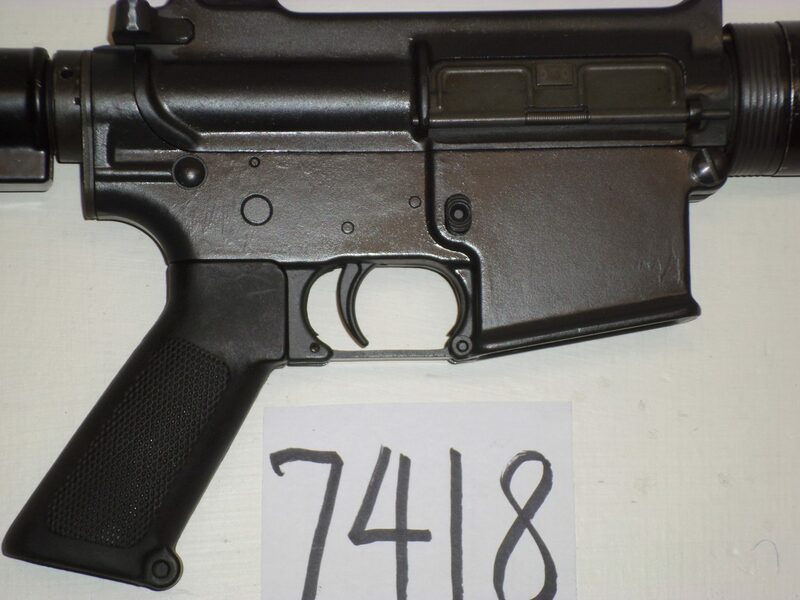 Has the early black aluminum stock.